When I first sat down to read "Keeping Score" by Marc Brackett I didn't realize how much contemplation and consideration was going to be involved. It was quite deceiving. I expected to fly through this little book in a day or two, not the week it took. It was a great little journey and, with the help of personal quizzes, provides some great insights into relationships and marriage. 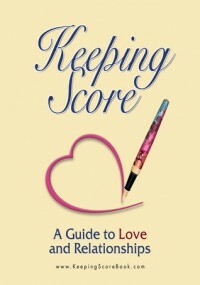 This book actually works alongside Marc's website, www.keepingscorebook.com, for assistance in downloading worksheets and evaluating your scores. When I first printed the worksheets and told my husband we were going to take a relationship quiz I received one of those, "I'm not taking another Cosmo quiz. Our marriage is fine." looks. When I told him it wasn't a magazine quiz but it was an in-depth quiz regarding our marriage he agreed. There are two very distinct quizzes; one for men and a separate one for women. Each quiz is divided into subcategories including Career, Finance, Intimacy, etc. and even though the topics were the same on each quiz the questions were different. The scores are then evaluated to prioritize the subcategories that are the most important to each partner and how the two of you can work together to strengthen your relationship. I've read other relationship and marriage-building books like "Ever After" and "The Five Love Languages" and there are parallel's to "Keeping Score." The general concepts are the same but "Keeping Score" is unique because it is so interactive. 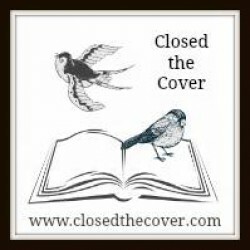 It was an enjoyable little book.